My littlest niece just celebrated her first birthday, and I wanted to make her something special. She was born just weeks after my baby, and being in my own little baby/new motherhood world, I never got the chance to make her a blanket like I intended. So, I recently rectified that by knitting up this small, soft blanket for her, since she likes baby-sized things to cuddle. 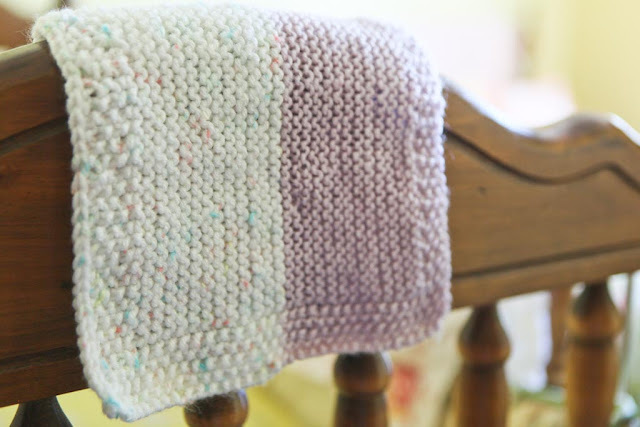 The pattern is very simple and just something I made up (no doubt influenced by the many washcloths I made while first learning to knit). My self-imposed requirement was that it be easy enough to put down at a moment's notice and be picked up again later without losing my place or having to count rows and such things. 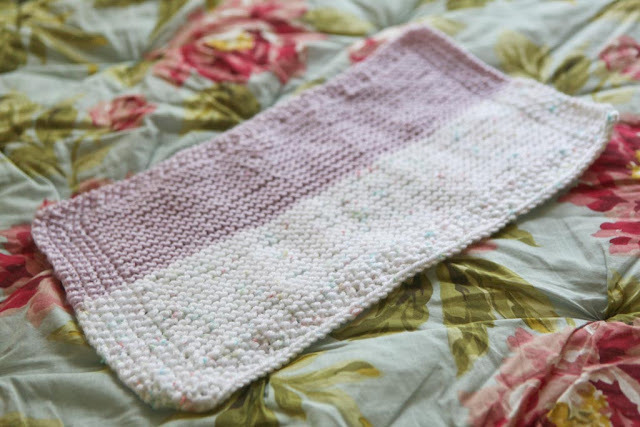 Repeat the above two rows until blanket measures 7 inches. After blanket measures 7 inches, repeat rows 1 and 2 for another inch to complete the border. What a lovely little project and gift Jaime! I bet it gets lots of cuddles!! 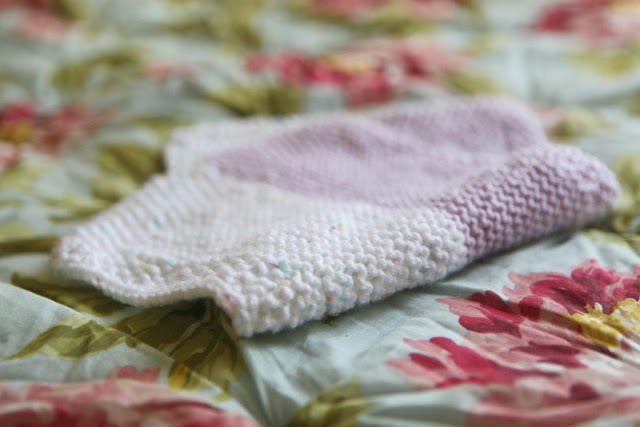 My sister is due to have a little boy next month and I am hoping to knit him a simple blanket too. So soft and sweet looking. Bet that babe'll love it.